Lauren Kieffer and Veronica do their CCI3* Bramham dressage test. Photo by Samantha Clark. Lauren rode with her customary cool and precision to deliver an accurate, smooth and calm test this afternoon in the Bramham arena, walking out with a score of 44.7 which was good enough for equal second place with Great Britain’s Lydia Hannon and My Royal Touch at the end of this first day of dressage. The first halt wasn’t quite square, and the final halt was very abrupt and Veronica jiggled a tiny bit, not quite jogged, in the walk but apart from that it was hard to fault. Her trot and canter work were both lovely, very steady with good rhythm, but still forward and swinging. Lauren and her dad, Papa Kieffs were kind enough to chat to me after they’d got back to the stables and decompressed a bit. Many thanks to Lauren and Kevin for their time, and fingers crossed for the rest of the weekend. 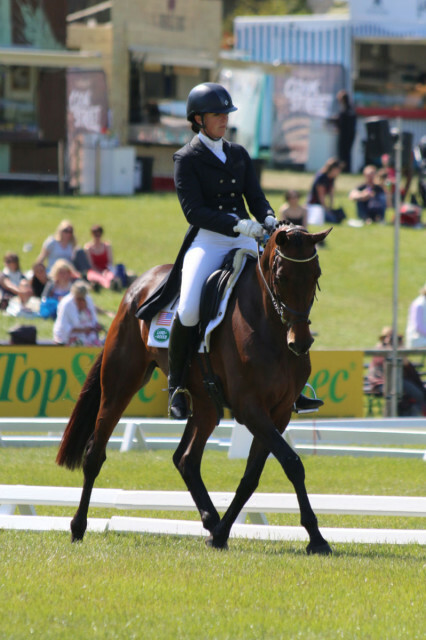 Katherine Coleman completed her test in the CCI3* division this afternoon also and scored 59.6 on Courage Under Fire. Lauren Kieffer and Veronica. Photo by Samantha Clark. 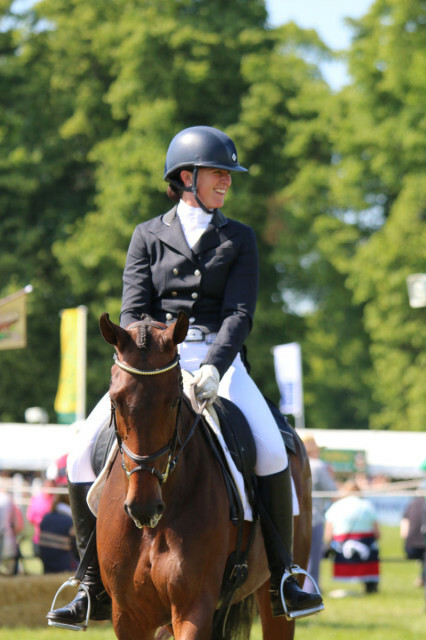 Caroline Martin and Quantum Solace passed the First Horse Inspection in the U25 CCI3* division this afternoon (full report to come soon) and they do their dressage tomorrow. You can find all the scores and times here. Go USA at Bramham, and Go Eventing!